After a siege of many months, Numantia is starved into submission; end of the Numantine War (133 BCE). The slave revolt on Sicily – also known as the First Servile War – had consequences elsewhere in the Roman world. There were similar rebellions in Rome itself, in Attica and on Delos, a centre of the slave trade. However, all of these were on a much smaller scale and they were all quickly crushed. This was not the case on Sicily with the rebellion started by Eunus and Cleon. Since praetors with just local forces could not defeat the rebels, the Senate in 134 BCE decided to send a consul to Sicily. It had already be decided to send Scipio Aemilianus to Spain to fight the Numantines, so the only man left was the other consul, Gaius Fulvius Flaccus. No details of his campaign have survived, which probably means that he did not win any great victories, nor suffered any great defeats. After campaigning for the better part of a year, Flaccus returned to Rome again, leaving the First Servile war to a successor. This successor was Lucius Calpurnius Piso Frugi, one of the consuls of 133 BCE. Piso was the man who had proposed the Lex Calpurnia de repetundis of 149 BCE and he was a capable politician. Whether he was a good general as well is difficult to assess. In any case, Piso could not end the First Servile War either. Let us now turn to the war that the Romans did manage to win this year, the war against the Numantines. 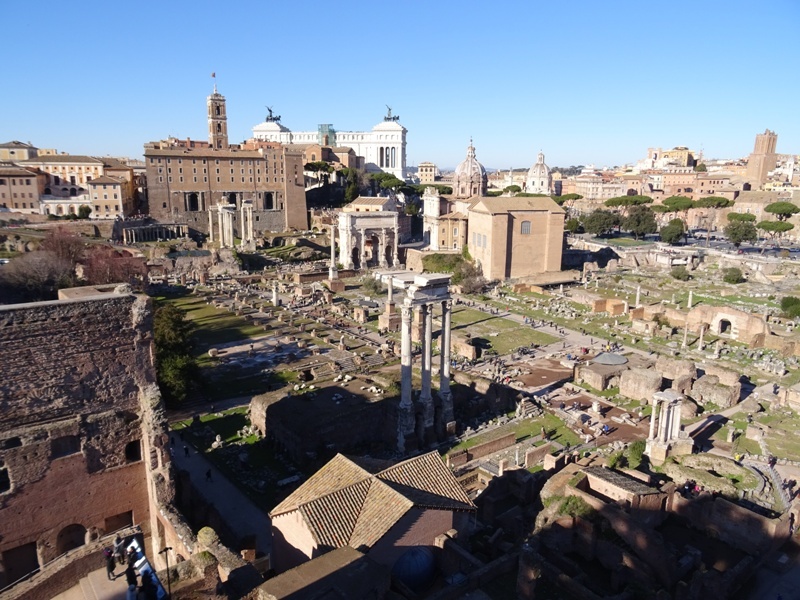 Events that took place in Rome itself are so important that they warrant a separate post. On 1 January 134 BCE, Scipio Aemilianus’ second term as consul commenced. Before sailing to Spain, Scipio decided not to levy any more soldiers. He probably remembered the problems that the consuls had faced in 138 BCE and realised that Rome’s pool of manpower was becoming exhausted. There were plenty of soldiers in Spain already, they just needed to be converted into a properly drilled Roman army. Scipio stated that he would only take volunteers with him, and 4.000 of these reported for duty. Among them were 500 clients and friends. Scipio charged his nephew Fabius Buteo with transporting these reinforcements to Spain while he himself went on ahead. This Buteo was the son of his brother Quintus Fabius Maximus Aemilianus (the consul of 145 BCE), who also accompanied him to Spain. 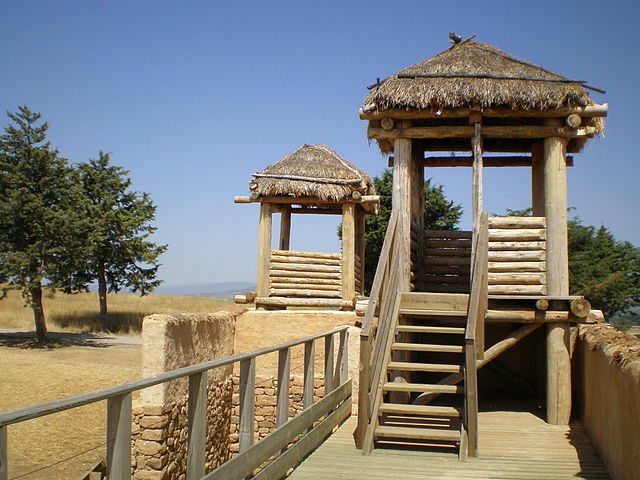 Once in the peninsula, the consul quickly restored discipline in the Roman camp. Everyone who was not a soldier was kicked out, including the whores, merchants and fortune-tellers. The men were told to sleep on straw (which Scipio himself did as well) and prohibited from riding mules on the march. The consul showed extreme reticence with regard to granting favours. Scipio firmly believed that strict generals were useful to their own men, while easy-going generals were useful only to the enemy. After discipline had been restored, the training part began. The men were ordered to march, dig, build a camp and demolish it again. This process was repeated until Scipio believed that the time was right to march on Numantia. The size of his army is not known with certainty, but it was likely a beefed-up consular army. 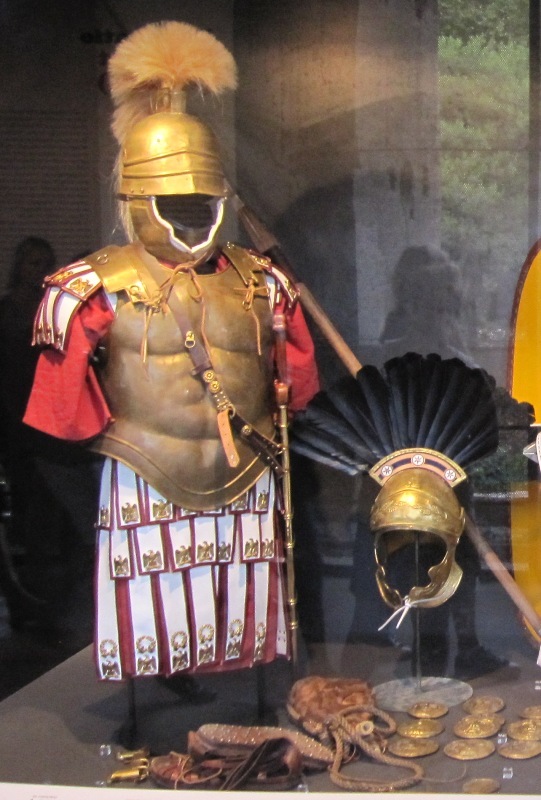 Quintus Pompeius was said to have had an army of 30.000 infantry and 2.000 cavalry, and these numbers seem acceptable for Scipio’s force as well. Next year, thousands of Spanish auxiliaries would join his ranks, as well as several hundred Numidians. 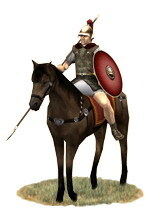 Roman horseman (eques) of a Republican legion. Even though his army was large, Scipio decided not to attack Numantia directly. It was a formidable stronghold and the consul wanted to proceed with caution. He therefore first ravaged the territories of the neighbouring Vaccaei, who were once again accused of providing the Numantines with food (it is always difficult to establish whether there was any truth in allegations like these). 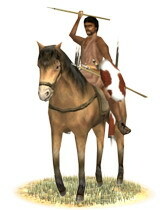 While advancing on Pallantia, a band of Vaccaei horsemen were threatening Roman foragers. Scipio sent the tribune Publius Rutilius Rufus against them with four turmae of cavalry of his own. Rufus was young and enthusiastic. He may have volunteered, and after returning to Rome he wrote a history of the Numantine War, which has not survived. In 105 BCE, he became a consul of the Roman Republic. But for now he was in deep trouble, as he pursued his opponents too closely and was lured into an ambush. Fortunately for him, Scipio had a lot of experience extracting trapped Roman units. He had done the same in 149 BCE when himself a tribune, and now rode to the rescue with more cavalry and managed to get Rufus and his men out safely. Scipio knew the territory of the Vaccaei quite well, for he had fought here himself in the consul Lucullus’ failed campaign of 151 BCE. Lucullus had on that occasion massacred the population of a town called Cauca and Scipio now allowed the survivors to return. Scipio’s first year in the Numantine War was now almost over and it was time to return to the original target, Numantia itself. While in his winter quarters, Scipio was joined by a very talented young man, the Numidian prince Jugurtha. He was the son of Mastanabal, himself a son of Rome’s old friend and ally Masinissa. Mastanabal had died long ago, and Jugurtha had been brought up by his uncle Micipsa (who would later formally adopt him). Micipsa had sent the young man to Spain with a dozen elephants and some units of archers and slingers. Jugurtha would perform very well during the upcoming siege of Numantia and make himself very popular with the Romans. Reconstruction of the walls of Numantia (source: Multitud, CC BY 3.0). Early in the year 133 BCE, Scipio – his imperium prorogued – marched on Numantia. Once again, the Roman commander opted against a direct assault on the city. The Numantines came out and challenged him to a pitched battle, but Scipio declined their challenge. Numantia was to be starved into submission. The proconsul ordered the allied Spanish communities to send him auxiliaries, so that the size of his army rose to some 60.000 men in total. Perhaps Appianus – our main source – was exaggerating, but the proconsul certainly outnumbered the 8.000-10.000 warriors that could defend Numantia. Scipio constructed seven large camps around Numantia and then completely surrounded it with a wall and a moat (circumvallatio). The wall was made of stone and had a total length of close to nine kilometres. The aim was to let no one escape from Numantia. Since the goal was also to let no one in anymore, Scipio built a second wall and moat facing outward (contravallatio). For the moment there was, however, a gap in the Roman lines near the point where the river Durius (now the Douro) entered Numantia. The defenders used the river to get supplies into the town and men out. Scipio solved this problem by building two towers on either river bank and closing off the river with a boom studded with sharp objects. Time and time again the Numantines charged the Roman fortifications. But Scipio had set up an ingenious rotation system, so that he always had men ready to be sent to the sectors that were threatened the most. Things were now beginning to look very bleak for the Numantines. Then a very brave nobleman named Rhetogenes Caraunius decided to break out with just five of his friends. They managed to approach the Roman wall in the middle of the night, climbed over it and killed the guards. The men even managed to get their horses across the wall using a portable bridge. 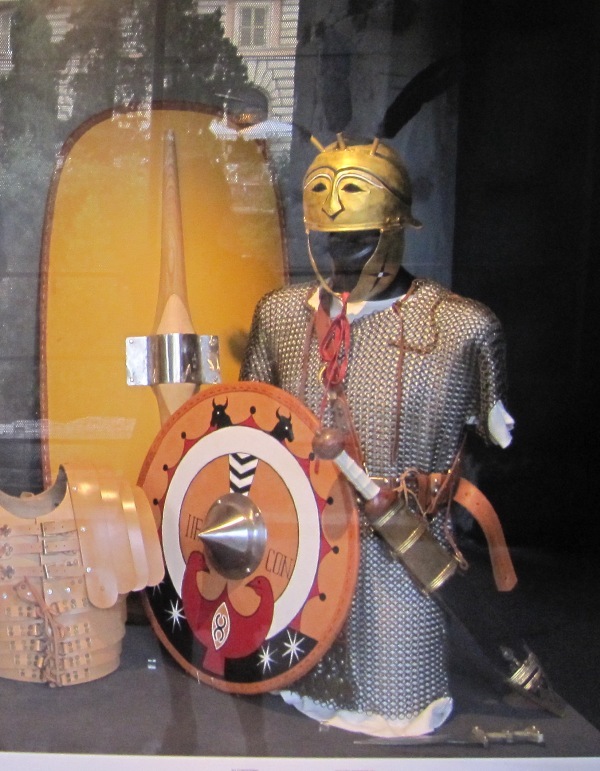 Before the Romans could respond, Rhetogenes and his friends rode off in search of fresh allies. The Numantines were a clan of the Arevaci, and it was among the Arevaci that Rhetogenes began to look for aid. 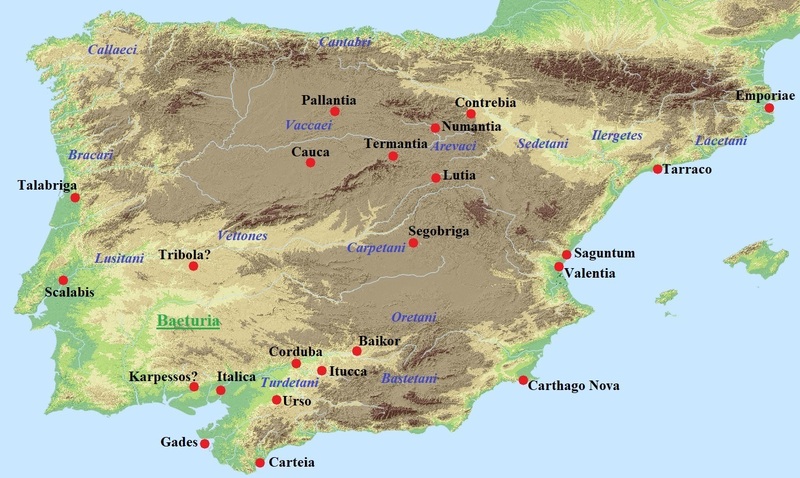 South of Numantia was the town of Lutia, and the younger Lutians were prepared to support their Numantine brothers. But the elders reported this to Scipio, who immediately rode to Lutia and threatened to burn the place to the ground if the young warriors were not extradited to him. Some 400 men were surrendered and Scipio had their hands cut off as a grim warning to others. By this time the Numantines had run out of food and decided to start negotiations about an honourable surrender. Their leader was a certain Avarus, who asked the Roman commander for clemency. Scipio responded by demanding a deditio, an unconditional surrender. This was clearly unacceptable for the Numantines, and when Avarus and his fellow envoys broke the news to their compatriots, they were lynched by an angry mob. Their food supply being exhausted, the citizens of Numantia were forced to lick boiled hides. Appianus claims they even resorted to cannibalism when the hides had been consumed as well. In the end the Numantines had no choice but to surrender. Some of the citizens committed suicide to prevent falling into Roman hands. The rest marched out of the city like and army of ghosts: filthy and emaciated, with torn clothes and smelling horribly. Scipio was far from mild in victory. He took 50 Numantines to be paraded in his triumph, which had not even been awarded to him yet, but was clearly a certainty. The rest of the population were sold as slaves. Numantia, which had resisted so bravely for so many years, was razed to the ground. After the victory, Scipio acquired another nickname or agnomen: Numantinus. Sallustius claims that before sailing home, the proconsul took young Jugurtha into his tent and told him “to cultivate the friendship of the Roman people at large rather than that of individual Roman citizens, and not to form the habit of bribery”. These were wise words, though perhaps made up by the author, and in any case words that Jugurtha would completely ignore some fifteen years later. Velleius Paterculus, Roman History, Book II.4. Adrian Goldsworthy, In the Name of Rome, p. 119-125.